One of the last remaining estates from the Gilded Age. Unrivaled in both its detail and presentation, Georgian Manor stands as an exquisite example of the important residences that were constructed on Philadelphia’s Mainline in the late 1800s to early 1900s. Marked by the extraordinary craftsmanship of that era and restored by the present owners to its original luster but updated to fulfill modern families’ demands, this three story stone mansion offers unparalleled formal spaces, magnificent tile, stone and woodworking, 8 Bedroom suites each with fireplace and amenities which include sweeping terraces, rose, cutting and topiary gardens, large operational yet ornamental greenhouse, pool, pool house with catering Kitchen and Bath, and uninterrupted vistas with both private and secured entrances. A home for today and for the ages. 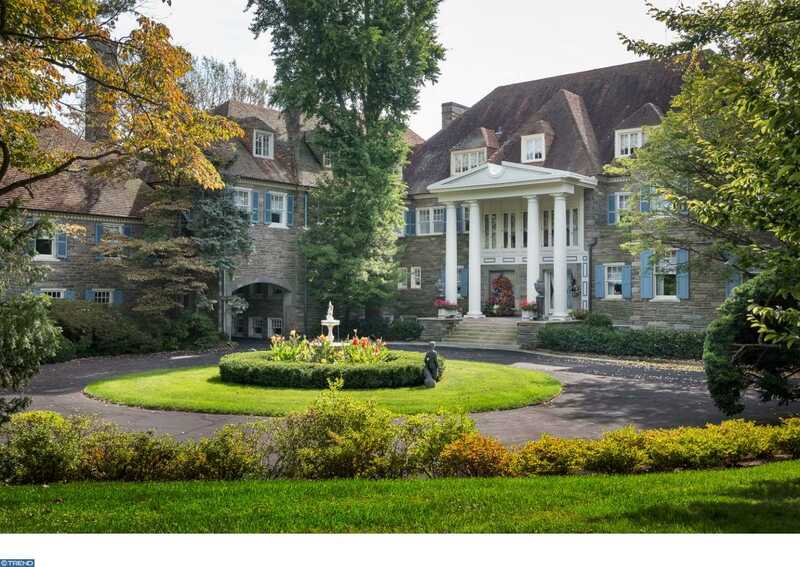 Please, send me more information on this property: MLS# PAMC550544 – $6,999,000 – 720 N Spring Mill Road, Villanova, PA 19085. I would like to schedule a private showing for this property: MLS# PAMC550544 – $6,999,000 – 720 N Spring Mill Road, Villanova, PA 19085.